Get yourself a mortgage now. The Bank of England will stop providing cheap funding for loans in the New Year. According to Moneyfacts.co.uk, in the period since the Funding for Lending scheme launched in August 2012, the average two-year fixed rate mortgage has fallen from 4.65% to 3.55%. There are quite a few options worth looking into. For example, cancel your PMI insurance. 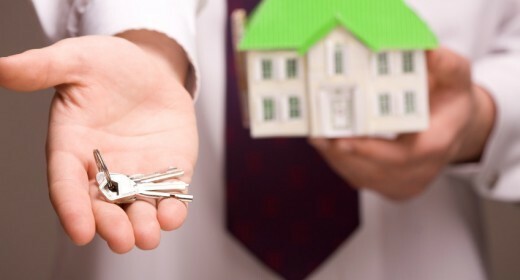 Mortgage lenders often sell you private mortgage insurance (PMI) if you pay a deposit of less than 20%. But if you’ve paid off more than 20% you can drop the PMI. This could save you thousands, but your mortgage provider has no obligation to tell you if you’re eligible to stop paying – so find out. The Big Six energy companies have had it their way for far too long and even the Government has advised us to vote with our feet and look for better deals. After the storms and floods over Christmas, your list of home maintenance jobs has probably doubled. Perhaps you lost some fence panels, roof tiles or, like one of our poor members, your shed is now five doors down in a heap. Don’t put these jobs off as they can end up costing you more. The weather can mean some outside jobs just aren’t possible. If that’s the case, use the time to get tradesmen out to quote for the work you think needs doing, before scheduling them in. 5. Time for that big project! Maybe this is the year to get stuck into that big new project? Convert the garage? Extend the kitchen? Put in that climbing wall up the side of the house? Whatever it is, plan and plan some more. And start with the basics: what will the planners let you do? 6. 2014: the year to buy and sell? The property market is looking more confident. So even if you’ve been unable to sell in the past, the advent of the Help to Buy mortgage scheme which is open to old and new-build homes is encouraging first time buyers and those trading up to take advantage of the scheme. There are tricks that are more difficult to see coming, such as whipping you into a spending frenzy at the crucial moment or selling you extra advertising when they haven’t already made the effort to properly advertise your property. We thought George Osborne might be scratching his head for resolutions too. So here’s a few starters that could revolutionise 2014 for many hard working existing and aspiring homeowners …. This isn’t the first time you’ve heard us ask for a stamp duty reform – so what are you waiting for? Our suggestions are pretty simple – they include making the stamp duty exemption threshold higher than the average house price so that ordinary homebuyers don’t pay. We also think you should increase stamp duty for those buying second properties and exempt first time buyers, and invest your stamp duty profits into new housing. Bingo. High stamp duty is just one of the tax disincentives forcing people to stay put and improve rather than move out. So it’s not fair that you are making us pay a crippling 20% on top when house builders are only charged 5%. Of the billions spent on housing every year, only a tiny percentage goes to increasing supply. This means private landlords profit from the inflated demand for their properties and the rest of British people are seeing the dream of owning a home disappear into the distance. Of course, this resolution could have been on every Government’s list for the past 30 years but now you, George, can be the one to make a difference. Be brave, be bold and please get building. Buying or renting which is right for me? 86% of people in Britain want to own their own home, but for many renting makes more sense – particularly at certain points in their lives. Before you embark on homeownership, you have to decide which is the right option for you buying or renting.